We catch up with Charles Smedley – Yarra Valley winemaker, Pinot-fan and the owner and winemaker of Mandala Wines. Can you recall the first wine you tried? I can’t recall the first wine I tasted (one of the side effects, I suppose), but I do remember the first significant wine I tasted where I had a ‘wow’ moment – it was a 1987 Mount Langi Ghiran Shiraz – an absolute game changer. When did you fall in love with wine? I really fell in love with wine when I was about 19 or 20 years old; I was working in Clochmerel Cellars in Albert Park and studying at William Angliss. Do you remember that moment? What happened? Well, it was around that time that I started to spend money on wine to see if there was a noticeable difference. My mate Richard and I spent some $25 (1991) as to the normal $5 on a bottle and went for an Indian dinner…it was that night that we said: ‘THIS is why you spend money on wine’, and really understood the potential a good quality wine can have on an occasion, experience or meal. Do you have an all-time favourite wine? Why is it this wine? I don’t have an all-time favourite, but what makes me tick is when a bottle of wine exceeds all expectations and sharing that experience with family or friends. What is your all-time favourite wine memory (other than a wine itself)? I’d have to say my first trip travelling through Burgundy and just soaking up the history and technique of the region’s winemaking (it’s still the same for every trip there since); the barrel tastings were just superb. I also have fond memories of blending time at the winery! Other than your own wine, what is the wine that you like to drink at home? What is your ultimate food and wine match. Any type of game and Pinot Noir. Pinot Noir is, and has always been my passion, it brought me to the Yarra Valley years ago. The versatility of the grape means it can work with pretty much any meal but game, namely duck cassoulet and Pinot Noir (Gevrey Chambertin), would be the winner in my eyes. Can you cook? If so, what is your ‘signature dish’? I come from a family of cooks and chefs, so I started working in restaurant kitchens from when I was about 12 years old. Suckling pig is my signature dish. What do you think is special about your wine region? The Yarra Valley region is a viticultural marvel in itself; it’s a haven for a huge range of different varietals thanks to its diverse topography (saying this I chose the Yarra Valley due to its complete harmony with Chardonnay and Pinot Noir), soil profiles and micro-climates. In 1999 I planted a Pinot Noir vineyard in the Upper Yarra, Yarra Junction, and the higher rainfall and volcanic soils provide the best conditions for nourishing our vines. We opened the second (and main) site in Dixons Creek 10 years ago, down on the ‘floor’ of the valley, and now have a range of varietals which enjoy the warmer weather and soils there. Not to mention the sheer beauty of the region – I believe it’s in the top three most picturesque wine regions in the world. What do you do to relax away from the winery? I love to travel, whether it’s activity-based or just to the beach I’m happy – especially if the family is with me too. I also love to read, and of course, enjoy a great bottle of wine. Do you have a favourite holiday destination/memory? It would have to be in Italy along the Amalfi Coast – the views, the food, the weather…stunning. I’ve been three times now and have very happy memories. Each time I’ve been there it felt like a wave of relaxation swept over me. Book – Shantaram by Gregory David Roberts – thought-provoking, thrilling and an eye-opener all in one. Movie – Harold and Maude – it shows how love comes in all forms, it has the best movie soundtrack and it's very funny. TV show Breaking Bad – it’s all about how events can change life’s decisions and I found it to be a really good watch! The main character is very funny and always manages to (comically) get himself out of trouble. Restaurant – France-Soir in Melbourne – great atmosphere. Breakfast – A classic English breakfast. Lunch – Oysters and sashimi. Dinner – Chilli mud crab. Time of day/night Night – everything moves slower and this is the time of I can relax and enjoy the peace of the countryside. Sporting Team? Sydney Swans for AFL, Melbourne Storm NRL and Aussie cricket of course. Esteemed Clare Valley producer, Claymore Wines, is celebrating 20 years of premium winemaking this September with the release of their iconic Joshua Tree Riesling. Alongside his family, Claymore’s founder and owner Anura Nitchingham has three great loves in his life – wine, music and football – and he celebrates all of them with Claymore Wines . As a young medical student in Liverpool, UK, Anura became a fan of one of the sport’s greatest ever football teams, Liverpool FC. Sitting in the stands at Anfield, he couldn’t imagine that one day he would have an exclusive relationship with the world famous club. 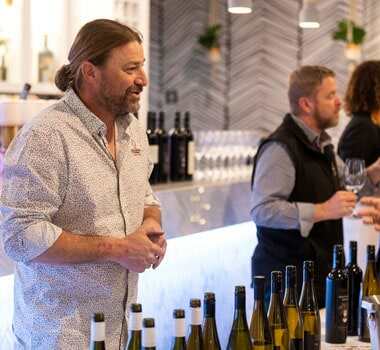 After a successful medical career, Anura had the great fortune to find his way to one of South Australia’s most renowned wine region, the Clare Valley , to start Claymore Wines over two decades ago. Today, his range of award-winning wines includes Liverpool FC-related drops, such as, the Robbie Fowler Signature Shiraz , the You’ll Never Walk Alone Grenache and Sauvignon Blanc and the This is Anfield Sparkling . Music in a bottle From the very start of Claymore, Anura has also entwined his love of music by naming his wines after his favourite songs and albums. Wines such as the Bittersweet Symphony Cabernet Sauvignon , the London Calling Cabernet Malbec , and the Purple Rain Sauvignon Blanc, resonate beyond their time and across generations – very much like the songs they are named after. And, along with bringing a fun vibe to wine, naming wines after songs has struck a chord with music lovers, who form an immediate understanding and sentimental attachment to their favourite varietals. “It allows us to have a more personal conversation with the customer,” says Claymore’s General Manager, Carissa Major. “People come to our cellar door, pick up a Bittersweet Symphony Cabernet and say, ‘this is from my generation, I get it’.” Time to celebrate In 2018, Claymore celebrates 20 years with two wines that have stood the test of time – the Joshua Tree Riesling and Dark Side of the Moon Shiraz (which will be released in the coming years). U2’s classic album The Joshua Tree contained a plethora of great hits including Where the Streets Have No Name , With or With You and I Still Haven’t Found What I’m Looking For . With the Joshua Tree Riesling, wine lovers will find stunningly beautiful expression of Riesling, that resonates almost as much as these amazing tunes. The Clare Valley is renowned as the home of Riesling in Australia and the Joshua Tree is one of the region’s best examples with vintage after vintage consistently producing a wine boasting lime and savoury spice aromas, a tight, fresh palate punctuated with delicious citrus flavours and all held in place with seamless, balanced acidity. The 2018 is no exception, a simply wonderful wine that is befitting of a 20 year celebration. Australia's established Pinot Noir regions are continuing to develop and evolve remarkable examples of this varietal. But for the big future of Aussie Pinot, we may need to look west. I'll admit it - not everyone is a fan of Pinot Noir . But that fact, in itself, is what makes Pinot so enigmatic - aficionados swoon, swillers scoff. And this suits Pinot (and its lovers) just fine because in this land of the tall poppy, it is not always favourable to be too popular. That said, Pinot is one of the most revered and collected wine styles in the world, with the top examples from its homeland in Burgundy selling for outrageous sums of money. It is generally quite delicate (some say light-bodied), and it takes a certain development of one's palate to truly appreciate its delightful nuances, perfumed aromas, textural elements and supple tannin profile. It appears that if you enjoy wine for long enough, eventually your palate will look for and appreciate the more subtle and complex style that quality Pinot can provide. A good point that illustrates this comes from winemaker Stephen George, who developed the revered Ashton Hills brand. "A lot of older gentlemen come into the cellar door and say they love Shiraz, but it doesn't love them anymore," he says. "So we are getting some of my generation moving over to Pinot Noir, and the young kids of today are also really embracing it." THE ALLURE OF PINOT (FOR THE WINEMAKER) Winemakers love a challenge, and there is no doubt that Pinot is a challenging grape to grow, and even more challenging to make. The Burgundians have certainly nailed it, but they have been practicing for thousands of years, and this is part of the key. The cool climate of Burgundy has proven to be a major factor, as is the geology of the soils there, but they have also shown the variety to be very site-specific - vines grown in adjacent vineyards, and even within vineyards, can produce very different results. Vine age too, is critical. True of most varieties, but especially Pinot Noir, the best fruit tends to come from mature vineyards, considered to be around 15 years old or more. Yields too, need to be kept low to get the best out of this grape, as it needs all the flavour concentration it can get to show its best. Australian winemakers have taken these lessons to heart - gradually developing ever cooler areas to grow Pinot, working out the best soil types, and carefully exploring the ideal sites within each vineyard to grow this fickle variety. They're also working out the best clones and the most appropriate vine spacing, and then managing the vine canopy to allow just the right amount of dappled sunlight to reach the ripening bunches. Our vines are getting older, reaching that critical phase of maturity, and yields are managed carefully to coax the maximum from each berry. Once in the winery, the grapes need careful handling due to their thin skins and low phenolic content, so physical pump-overs are kept to a minimum. These days more and more winemakers are including a percentage of stems in the ferment to enhance the aromatic and textural qualities of the finished wine, and oak usage is more skilfully matched to the style being produced. THE STATE OF PLAY OF PINOT Australian viticulturists and winemakers are getting better at producing top quality Pinot with every passing year. And that quality is truly on show in our most recent State of Play tasting. It's been five years since we last had an in-depth look at Pinot Noir in this country. And what a change we've seen in that time! The overall quality of Australian Pinot is certainly on the rise. But what is perhaps the biggest development in the last five years has been the emergence of a potential Pinot giant in the west . As you will see in our reviews across the following pages, the established Pinot producing regions such as the Yarra Valley , Tasmania and Adelaide Hills are still well represented in our Top 20, but they are joined by newcomers, the cool-climate Tumbarumba region of NSW, and an impressively strong showing from the Great Southern and Pemberton areas of Western Australia. In fact, five wines in the Top 20 are from WA - an amazing statistic given that there were none five years ago. THE EMERGING PINOT GIANT - WA We have seen a marked increase in the number and quality of Pinots coming from the West in recent years, particularly from the vast Great Southern area encompassing the five distinct sub-regions of Albany, Denmark, Frankland River, Mount Barker and Porongorup, as well as a secluded pocket of the South West around Pemberton and Manjimup. So what has led to the emergence of WA as a Pinot powerhouse? According to second generation winemaker Rob Wignall, whose father Bill pioneered Pinot production in Albany, there have been a number of small improvements that make up the overall picture. He believes that climate change has been a significant and positive factor, moving the region's climate into more of a semi-Mediterranean situation with mild summer days and a reduction in rainfall throughout the growing season, leading to improvements in disease control and better canopy management. In addition, Rob feels that better oak selection and winemaking practices such as 'cold soaking' of the must prior to fermentation have led to improvements in the finished product. He is also a strong advocate for screw caps, believing that the delicate fruit characters of Pinot really shine under this closure, and that they also enhance the age-ability of the wines. Luke Eckersley, from regional icon Plantagenet Wines in Mt Barker, points to the variations in micro-climates and soil types across the Great Southern region as a factor. "Pinot Noir styles are varied with complex savoury styles from Denmark; elegant perfumed styles from Porongurup; rich fruit driven styles from Mount Barker; big robust styles from Albany; lighter primary fruit styles from Frankland River," he says. Michael Ng, winemaker from Rockcliffe in Denmark, adds that the cool climate with coastal influences allows full flavour development in the fruit, while still allowing for wines of finesse and savoury complexity. And a bit further west, Coby Ladwig of Rosenthal Wines points to the steep hills and valleys of the Pemberton region creating many unique micro-climates that enable varied grape growing conditions, "allowing us to create extremely complex and elegantly styled wines from one region", he says. While neighbouring Manjimup, with an altitude of 300m and therefore the coolest region in Western Australia, has cold nights and warm days ideal for flavour enhancement. PERFECTING THE FUTURE In summary, Pinot Noir in Australia is in a healthy position, with the established regions in Victoria, Tasmania and South Australia producing more consistent and ever improving results. Equally exciting are the emerging Pinot Noir regions such as those in WA, as well as Tumbarumba and Orange, that show that the future for Pinot in Australia is bright. So, if you find your Shiraz doesn't love you as much anymore, perhaps look to Pinot, and when doing so, glance west. THE WINE SELECTORS TASTING PANEL The wines in this State of Play were tasted over a dedicated period by the Wine Selectors Tasting Panel , which is made up of perceptive personalities and palates of winemakers, international wine show judges and wine educators. With an amazing 140 years collective experience, they love wine and they know their stuff. As if winning International Winemaker of the Year three times isn’t special enough, McGuigan Wines has now made history by winning the title for the fourth time at the 2016 International Wine and Spirits Competition. The winners are announced in London each November with the competition judging wines from more than 90 countries and 400 judges assessing entries over a seven-month period. 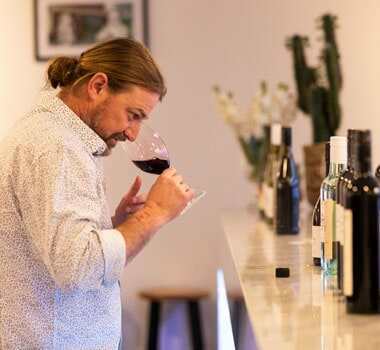 McGuigan Wines previously took out the International Winemaker of the Year title in 2009, 2011 and 2012 and this year was also awarded the Australian Producer of the Year title, again for the fourth time. McGuigan Wines also claimed the trophies for Best Semillon and Best Shiraz with their 2003 Bin 9000 Hunter Valley Semillon and 2007 Handmade Barossa Valley Shiraz. Other Australian Gold medal-winners at the show included Bird in Hand, Château Tanunda, Mount Pleasant, De Bortoli, Peter Lehmann and Thorn-Clarke.